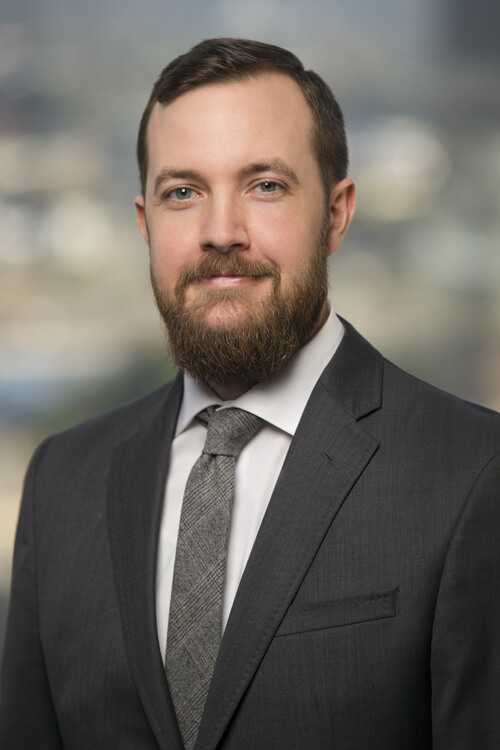 Jordan P. Wimpy is a Counsel member of the Business Practice Group. His practice focuses on environmental, agriculture, energy, and natural resource issues. Jordan regularly represents trade associations, utilities, and business clients in administrative rulemaking matters and all aspects of the environmental permitting, compliance and enforcement processes. Jordan also provides advice and counsel to landowners negotiating conservation easements, utility easements, surface use agreements, and environmental mitigation/reclamation standards for energy infrastructure projects. Represents clients in enforcement proceedings, permit disputes, and environmental reclamation projects before state and federal regulatory agencies. Advises clients regarding environmental permit applications and processes. Advises landowners and landowner organizations on the negotiation and siting of energy infrastructure development projects, including rights-of-way and easement agreements for pipelines and powerlines, surface use agreements, access agreements, and mitigation reclamation standards. Assists landowners with the negotiation, drafting, and monitoring of conservation easement agreements. Helps landowners and local governments navigate special use permitting and resource management planning processes for public lands. Advises clients with regard to enrollment, contracting, and compliance issues under the Farm Bill’s Title 2 Conservation Programs. Represents landowners, local governments, and agriculture organizations in matters concerning the Endangered Species Act, including listing decisions, critical habitat determinations, habitat conservation plans, and Section 7 consultation activities.